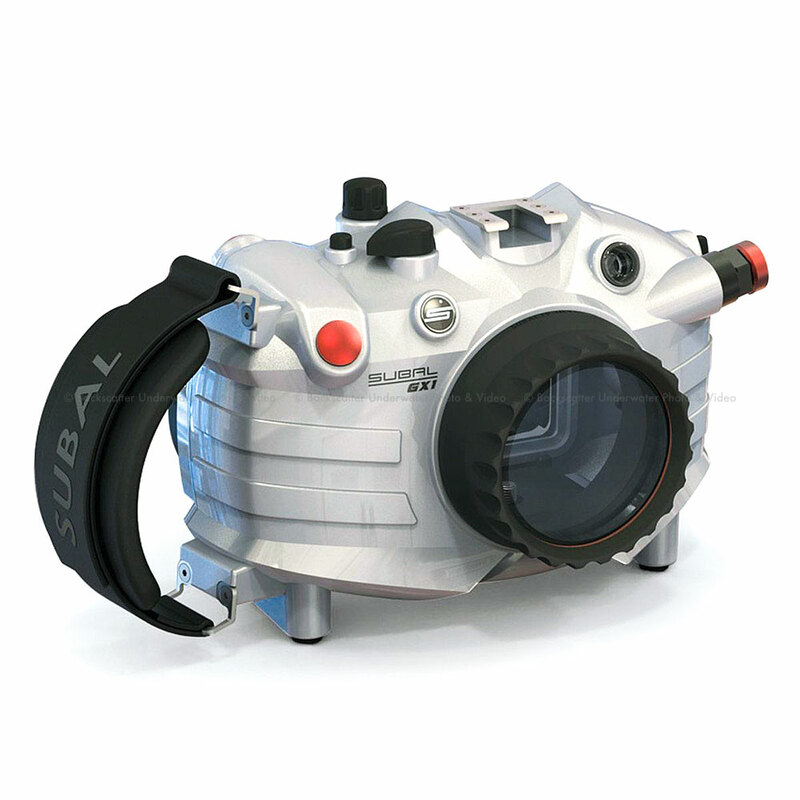 The SUBAL GX1 provides access to all functions of the camera housing! The SUBAL GX1 with a flat port for the 14 mm lens is supplied as standard. The SUBAL GX1 housing provides access to all camera functions, including and closing of the built-in Flash unit! A clip-on sun visor prevents disturbing reflections and light on the monitor. The back cover is closed when the SLR housings, using the proven SUBAL quick-lock system. To the card or changing the battery, the camera slide must not be removed. The SUBAL GX1 with a flat port for the 14 mm lens is supplied as standard.